City Vision encourages its elected members to report regularly on their activities. 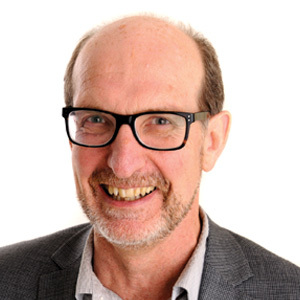 Here is Dr Peter Haynes, Chairperson of the Albert Eden Local Board’s first report for 2015. This report covers activities undertaken during the period from 4 December 2014 to 3 February 2015. As can be expected in the absence of many Council staff and elected members over the holiday season, the pace of work has been less pressured than at other times of the year. 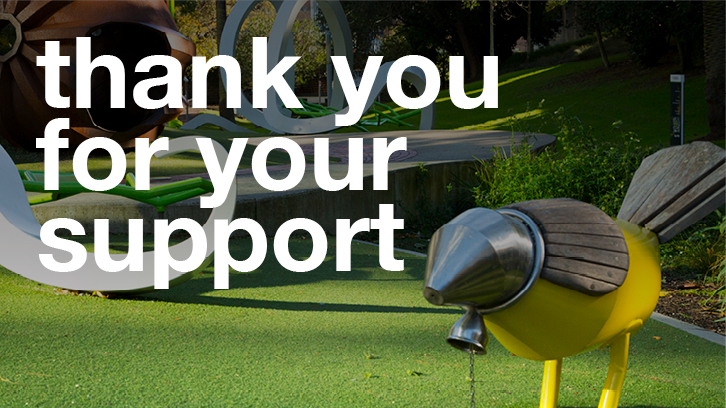 Consultation commenced on the Council’s Long-term Plan on Friday 23 January. The people of Albert-Eden have until 16 March to support our plans for Albert-Eden as well as give their feedback on the big issues in Council’s 10-year budget. As well as the Have Your Say meeting on 26 February, the Board is holding a meeting for key stakeholders (3 February), and community meetings in Pt chevalier (12 February), Mt Eden (16 February) and Sandringham (18 February). In addition, Board members are briefing stakeholder groups face-to-face. To date I have met with the Auckland Trotting Club (with Glenda Fryer, 23 January), Auckland Netball (with Rachel Langton, 28 January) and the Mt St John Residents’ Association (28 January). The following are the local issues on which I believe it is imperative Albert-Eden people make their views as clear as possible. Businesses and residences need to emphasise (1) the urgent need for the street works planned and (2) a quick decision on the best public transport solution for this key arterial, whether light rail or more buses. After a quarter of a century of neglect and deferred works, it appears that the Dominion Rd upgrade may not go ahead. This is very disappointing, as the uncertainty around the future of the road has discouraged investment and, along with other factors such as the St Lukes mall development, led to the decline of the thoroughfare as a commercial centre. It is also disappointing as the Board, along with iwi, the Dominion Rd Business Association and others spent many hours refining the design and planning for the upgrade. The contract for the works was on the point of being signed when it was cancelled. The funding for this project is included in the ten-year budget, but the funding for the bridge from the rail station concourse to the future plaza has been removed from the budget. Not only has the design of the concourse been future-proofed to accommodate the bridge, but the failure to build the bridge undermines the project. The bridge must be built and the funding for the whole town centre upgrade secured! Albert-Eden has the biggest shortfall in sportsfield capacity in the Auckland region, and adjacent boards are next on the list. A significant sum for “Sportsfield and local park development” has been included in the budget (with a 3.5% overall rates increase), but it has not been assigned to particular projects. Our sportsfield upgrades must remain top of the list of priorities, and the budget for them must be included regardless of the level of rates increase. The Tūpuna Maunga o Tāmaki Makaurau Authority came into existence on 29 August 2014. It governs 14 tūpuna maunga under the Ngā Mana Whenua o Tāmaki Makaurau Collective Redress Act 2014, three of which are in the Local Board’s area. It has met a number of times and adopted a Draft Operational Plan, with a budget. It is essential that this budget be included in the LTP budget at that level, if not increased, if we are to begin properly conserving and developing the tūpuna maunga. At its Hui 4 (1 December 2014), the Tūpuna Maunga o Tāmaki Makaurau Authority approved in principle progressing a vehicle free summit on Maungawhau/Mt Eden; and requested staff report back for a final decision at Hui 7 (13 April 2015). 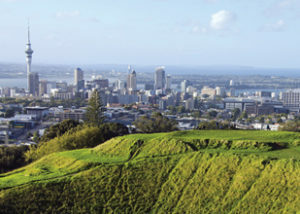 The Maungawhau/Mt Eden Management Plan (2007) notes the need to enhance the visitor experience of Maungawhau /Mt Eden, enabling people to discover the significance of the site and enjoy a safe recreational environment in a manner consistent with the preservation of the reserve’s heritage values. The Plan identifies the need to address vehicle access to the summit stating that “while offering a unique view of Auckland from the summit, unrestricted access has caused concerns over pedestrian safety, congestion and damage to the site itself”. In early 2011, Auckland Council restricted the access by heavy vehicles to the summit of Maungawhau/Mt Eden, to address congestion, damage to roads and enhance the visitor experience. Restricted access was complemented by a guide and shuttle service funded by Council, which continues to provide a free service for visitors travelling to the summit and back.The restrictions on heavy vehicles on Maungawhau/Mt Eden since 2011 have proved very successful. Not only has there been a significant reduction in congestion at the summit, and an enhanced visitor experience, but also a change in attitudes of visitors. This change has seen a steady numbers of visitors choosing to walking rather than drive. At the time that heavy vehicle access to the summit was restricted, dire predictions were made of drops in visitors to the summit and in visitors to Auckland. In fact, both have increased. In my view it is less likely that we will see a fall in either as a result of a general restriction on vehicle access to the summit. I recommend that the Board supports the decision in principle by the Tūpuna Maunga o Tāmaki Makaurau Authority to progress a vehicle-free summit on Maungawhau/Mt Eden, subject to adequate provision of shuttle access to the summit for people who are otherwise unable to access the summit. At its October meeting, the Board approved the Eco Neighbourhoods initiative. This project is based on the Kapiti District Council’s successful Green Neighbourhoods initiative, and seeks to promote the spread of sustainable living practices by supporting a small number of small clusters local residents to adopt more sustainable lifestyles in their own homes and communities. The board will fund workshops and programmes for locals to work together to learn different ways to be sustainable, such as composting, organic food growing, chicken keeping or how to minimise waste and water use. It aims to connect people within neighbourhoods so they can collaborate on increasing sustainable living, as a model for the general community. This initiative was launched in December, and groups of interested local residents living in close proximity to one another are invited to discuss the scheme with the Board’s officers. Due to some press reports about the proposed Auckland Trotting Club development and the formation of a group of residents concerned to see the Asquith Ave SHA designed appropriately, in which I was quoted, some people have erroneously formed the view that I am opposed to intensification. Last term the Board adopted the position that it supports intensified development, as long as it is appropriate and well-designed. It continues to do so, and I personally support this position. The problem has been that everything that one says does not get reported. On the Auckland Trotting Club development, I said to the journalist that the development itself may be excellent, but that it would add to the severe congestion problems in that neighbourhood. On the Asquith Ave SHA, I have advised local people all along that Housing New Zealand has completed some very good quality projects in recent years, and that I am confident that they will in Asquith Ave. My criticisms of HNZ in this case have been around the delays in getting anything to the local people. This has created a vacuum, and that vacuum is, inevitably, being filled with people’s worst fears. This is doubly disappointing in my view for being so avoidable.